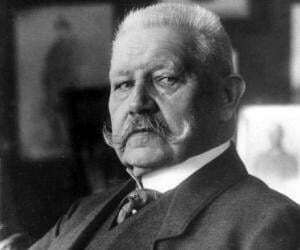 Paul von Hindenburg was a German statesman and renowned military figure in during World War I. Read this biography to know his birthday, childhood, family life, achievements and timeline. Paul von Hindenburg, the well-known German statesman and Generalfeldmarschall (German title for field marshal), was born in the middle of the 19th century in the Kingdom of Prussia into an aristocratic family. From his childhood, he was ingrained with the love for his fatherland. At the age of 18, he began his career as a second lieutenant, serving his country for the next 46 years with integrity and honor before retiring as a general of the Infantry at 64. But as the First World War broke out, he was recalled to duty at the age 67, eventually being promoted to the post of the Chief of the General Staff at the age of 69. Hailed as a national hero for winning the Battle of Tannenbereven, he remained equally popular even after Germany lost the war. 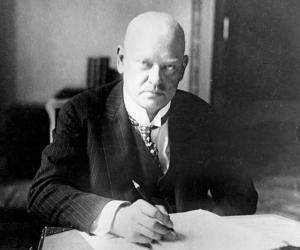 At the age of 78, he was elected as the second President of Weimar Republic, as the government of Germany was then known, and served his country with veracity until his death at the age of 87. But during his second term as the president, he was forced by circumstances to appoint Adolf Hitler as the Chancellor and thus unknowingly became instrumental in the rise of the Nazi Party in Germany. Paul Ludwig Hans Anton von Beneckendorff und von Hindenburg, generally known as Paul von Hindenburg, was born on 2 October 1847 in Posen, at that time an important city in the Kingdom of Prussia. Now known as Poznań, it is located on the Warta River in west-central Poland. His father, Robert von Beneckendorff und von Hindenburg, was a Prussian aristocrat belonging to an ancient Junker family that traced it origin to 1289 AD. Following the family tradition, his father joined the army, becoming a lieutenant in the Eighteenth Infantry Regiment by the time Paul was born. His mother, Luise nee Schwickart, was the daughter of a doctor, who won an Iron Cross for his services in the battle of Kulm. Both his parents worked together to provide Paul with a strong body and mind, belief in God and boundless love for their country and the king. Paul was born eldest of his parents’ four children, having two younger brothers, Otto Friedrich Louis Traugott and Bernhard, and a younger sister named, Ida. From his father’s first marriage to Henriette, he had a half-brother named, Konrad von Beneckendorff und von Hindenburg. Because of his father’s military service, Paul spent a nomadic childhood, moving first to Cologne and then to Graudenz, Pinne, Glogau and Kottbus. It was at Pinne that young Paul began his formal education, while his father taught him geography at home. At the age of nine, he enrolled in the higher elementary school in Glogau, later moving to a Protestant Gymnasium in the same city. In 1859, at the age of 11, he was enrolled at the Cadet Corps School at Wahlstatt (now Legnickie Pole, Poland). At the Cadet School, the training was intentionally rough. However, as Hindenburg began to adjust to the new setting, he started enjoying himself, very soon being called a gifted student. During this period, he developed an interest in war history. In April 1863, he was transferred to the Cadet School in Berlin where during the spring review, he was thrilled to have his first glimpse of King William I. 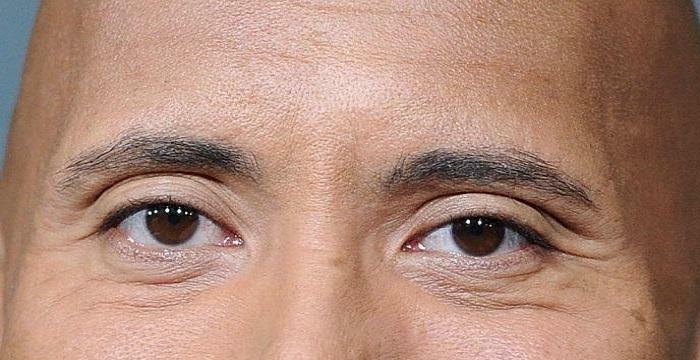 In the following year, as the war with Denmark broke out, he watched his comrades leaving for the battlefield with envy. Paul von Hindenburg graduated from Cadet School on 7 April 1865 and began his career as a second lieutenant in the Third Regiment of Foot Guard, at that time stationed at Danzig. By that time, the talk of Austro-Prussian War was already in the air. As the war began in 1866, the Second Battalion, which he was commanding, was kept in reserve, eventually given duties like searching for the dead and burying them. Later on July 3, they were sent to fight in the Battle of Königgrätz. During the Battle of Königgrätz in 1866, Hindenburg was hit with a bullet in his head and fell unconscious. But as soon as he regained his senses, he continued leading his men, wrapping up the wound with a towel. He was later decorated for his gallantry. His regiment also participated in the Franco-Prussian War (1870-1871), winning the Battle of Gravelotte–St. Privat on 18 August 1870. Since the French had superior military might, the Germans also suffered huge losses. Hindenburg was eventually made an adjutant to the Regiment Commander. During the Battle of Sedan in September 1870, Hindenburg’s regiment was stationed near the battleground; but they were kept in reserve and thus could not directly participate in the battle. However, the decisive German victory and the capture of Napoleon III had a great impact on him. After the victory at Sedan, they marched to Paris, participating in the siege line surrounding the city. When German Empire was proclaimed on 18 January 1871, Hindenburg attended the ceremony at the Palace of Versailles as a representative of his regiment. Paul von Hindenburg secured an admission in the Kriegsakademie, the Prussian Staff College in Berlin, after passing a very competitive examination. He studied there for three years, returning to his regiment at the end of the course. Then in the spring of 1877, he passed with high grades. In 1878, he was promoted to the rank of Captain and assigned to the staff of the Second Army Corps. In 1881, he was transferred to First Division at Konigsberg and in 1884, to the Fifty-Eight Infantry Regiment where he became the commander of a company made up mostly of Poles. In 1885, he was transferred to the Great General Staff and within a few weeks, promoted to the rank of Major. 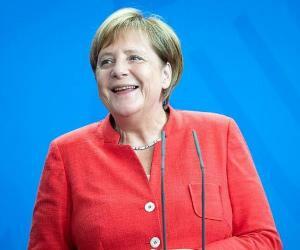 For five years, he also taught war tactics at his alma mater Kriegsakademie. Concurrently, he continued to upgrade his knowledge, learning about the topography of East Prussia in 1888. In 1889, Hindenburg moved to the War Ministry, where he wrote the field service regulations on field-engineering and on the use of heavy artillery in field engagements. Thereafter, he had rapid promotions, being made a lieutenant-colonel in 1891 and a colonel in command of an infantry regiment in 1893. In 1896, he became the Chief of Staff of the Eight Army Corps, being given the command of a division as a major-general in 1897. In 1900, he was promoted to the post of lieutenant general and in 1905, to the post of General of the Infantry. In 1911, Hindenburg retired from the army after 46 years of honorable service, holding General Staff positions for 14 years. However, he could not enjoy his retirement for long, being recalled to duty as the First World War broke out in 1914. When the German Eighth Army lost the Battle of Gumbinnen to Russia on 20 August, 1914, its commander Maximilian von Prittwitz notified the headquarters of his intention to withdraw to western Prussia. In return, the authorities relieved him of his duties and asked Paul von Hindenburg to take his place. 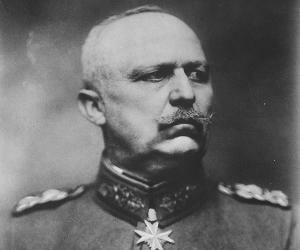 On 22 August 1914, Hindenburg took command of the German Eighth Army in East Prussia with General Erich Ludendorff as his Chief of Staff. They not only halted the German retreat, but also decided to take initiative, leading to the Battle of Tannenburg, which began on 26 August. By 30 August 1914, the Germans routed the Russian Second Army, making Hindenburg a national hero. His next battle, the First Battle of the Masurian Lakes, which took place between 7 and 14 September, was equally spectacular, ejecting the Russians from the German soil, causing heavy losses to their enemy. On 1 November 1914, Hindenburg was appointed Commander in the East and promoted to the post of Field Marshal. By then, reinforced Russian Army was advancing towards Silesia. Ultimately, he was able to counter the threat at the Battle of Łódź, fought between November 11 and December 6 in 1914. Throughout 1915, his popularity continued to increase and on 29 August 1916, he was made the Chief of the General Staff with General Erich Ludendorff as his co-responsible chief aid. 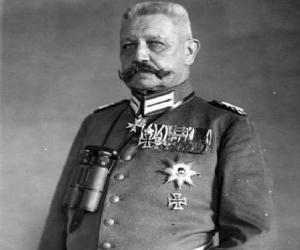 He also became the Supreme War Commander of the armies of the Central Powers, having nominal control of six million men. While Germans won many individual battles, their land tactics failed to win their wars against the British. Therefore, they planned to use submarines warfare, aiming to starve out their enemy. Alarmed by such development, the USA joined the war, ultimately leading to German’s defeat in 1918. When Germany lost the First World War in 1918, Ludendorff took all the blame, and Emperor William II was forced to resign. Hindenburg remained as popular as before, earning the nation’s gratitude by bringing every German soldier across the armistice line in Belgium and France before the deadline. In June 1919, Paul von Hindenburg resigned from his command and moved to Hanover where he led an uneventful life, writing his memoir, 'Mein Leben' (My Life). But in April 1925, after the death of Friedrich Ebert, the first President of post war Germany, he was asked to run for Presidency. He was elected president on 26 April 1926 and took office on 12 May, running his first term with greatest integrity. While the Great Depression posed a challenge, he tried to remain above the political turmoil and radicalization that had started brewing in the country. In October 1931, Hindenburg met Adolf Hitler for the first time in a high-level conference in Berlin and took an immediate dislike to him, calling him “the Austrian corporal.” Hitler also did not like him, calling him “the old fool”. In the spring of 1932, despite his old age, Hindenburg was persuaded to run for presidential election by certain section, who believed that only he could defeat Hitler. 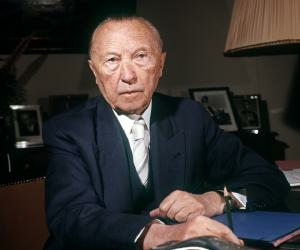 He won the election, becoming the president for the second time, holding the position until his death two years later. On 30 January 1933, he was forced by circumstances to appoint Hitler as the Chancellor of Germany. Although he was assured that Hitler would be kept in check, that did not happen. Instead, Hitler was able to gain the aging president’s confidence and run his decree unabated. Paul von Hindenburg is best remembered for his role in the Battle of Tannenburg. Fought between 26 and 30 August 1914, it resulted in a decisive victory for the Germans and complete destruction of the Russian Second Army. 92,000 Russian soldiers were captured and another 78,000 were either killed or wounded. Paul von Hindenburg married Gertrud von Sperling, daughter of Prussian Major General Oskar von Sperling, on September 24, 1879. In his autobiography, Hindenburg has praised her as a loving and supporting wife. The couple had three surviving children; two daughters, Irmengard Pauline (1880) and Annemaria (1891), and a son named, Oskar (1883). Later, Oskar followed his father’s footsteps and joined the army. His daughters also married men in uniform. On 2 August 1934, Hindenburg died of lung cancer at his home in Neudeck, East Prussia. Going against his will, Hitler had him buried in a magnificent ceremony at the Tannenberg Memorial. The remains of his wife were also brought there to be buried by his side. While Hindenburg was in his deathbed, Hitler had a law passed which would merge the offices of the president and the chancellor in the event of Hindenburg’s death. Thus after Hindenburg’s death, Hitler became the absolute dictator with no one to curb him. The Battle of Tannenberg took place near Allenstein (Olsztyn), which was located 30 km to the west of Tannenberg. By naming it so, Paul von Hindenburg wanted to avenge the defeat of the Teutonic Knights at Battle of Grunwald, known in Germany as the Battle of Tannenberg, 500 years ago. The mortal remains of Hindenburg and his wife have been removed twice after their burial at the Tannenberg Memorial. In 1944, as the Russians approached towards Germany, their son, Oskar, removed them to Western Germany. Currently, they lie buried in St. Elizabeth's Church, Marburg.